The news Disney was turning its Twilight Zone themed ride into one for Guardians of the Galaxy set off a slew of reactions—everything from anger to excitement. A new video offering a better look at the ride is likely to do the same thing. Disney has just released a video showing off the model of what the new ride, Guardians of the Galaxy Mission: Breakout, will look line once the Twilight Zone Tower of Terror is completely shut down. That’ll happen early next year and then, the tower is turning into this. That’s quite a change from the old hotel theme that lived above Disney’s California Adventure Theme Park. But it certainly fits the world of Marvel. I’m still holding out judgement, but I’m sure many will not. 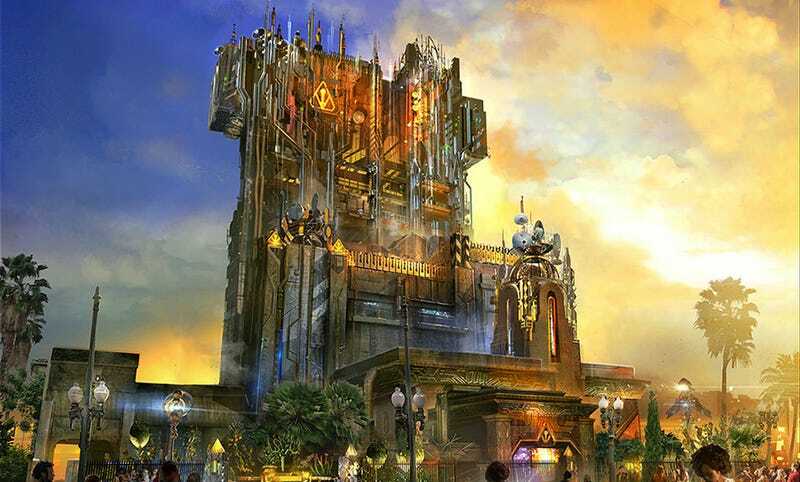 Guardians of the Galaxy: Mission Breakout opens Summer 2017.